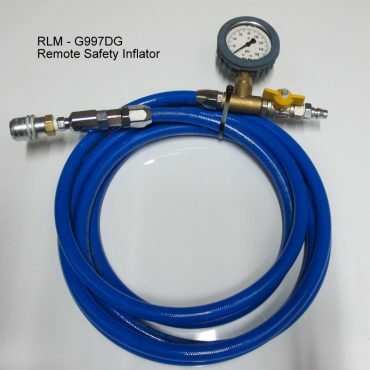 RLM offer three models of Tyre Safety Inflation Assemblies: Designed to allow the tyre technician to inflate and pressure check tyres while located at a safe distance away or to the side of the tyre and wheel assembly, out of the trajectory zone should a tyre failure occur. 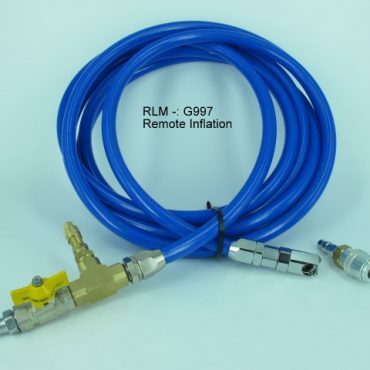 We have selected high quality Japanese made polyurethane air hose with a Teflon bore for smooth fast airflow, these hoses are tough, light weight and easy to store, they have screwed fittings [no worm clamps] for secure hose to barb connections, and infield serviceability. Each model has 6 metres of air hose + hi flow butterfly shut off valves, NITTO quick connect couplers, + clip on tyre chucks with matching NITTO air plugs. 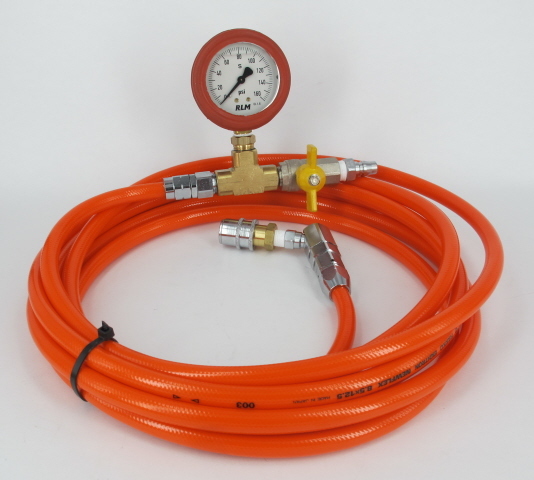 Our Gauges are high quality German made, 63mm liquid filled 0 – 160Psi in 2Lb increments, with a rubber protector. 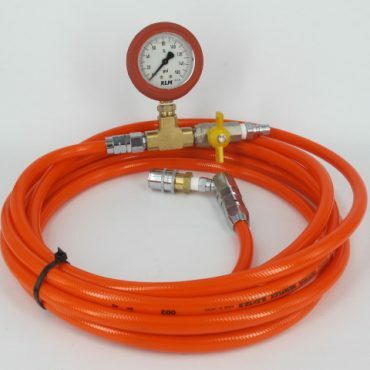 For those very rough conditions, such as bouncing around in a service truck tool box, we suggest a manual pressure check point, as in the G997 model, this unit has a large bore tank valve to allow a pressure reading from a hand held tyre gauge. 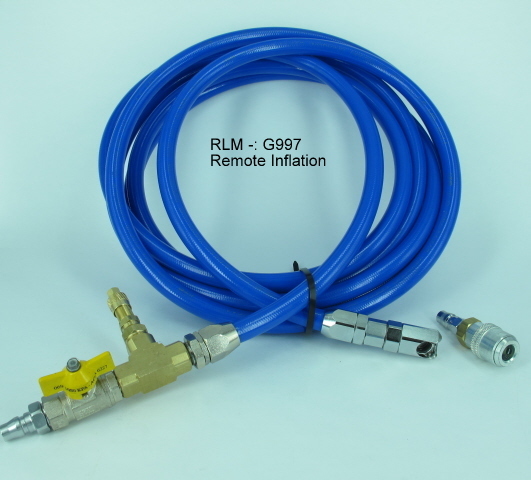 Model – G997: OTR tyre inflator with large bore tank valve pressure check point and large bore clip chuck. Model G997DG: OTR tyre inflator with dial gauge and large bore clip on chuck.